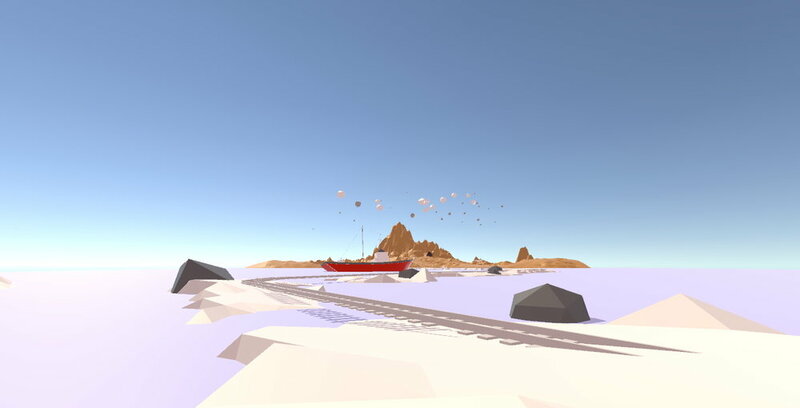 FIND is an interactive game that depicts a man going through his journey to find youth. He went through three natural environments: forest, snowfield and desert; during which, he is faced with multiple challenges and difficulties. He has to endure extreme climates in desert (toridity and lack of water) and snowfield (coldness and lack of food) as well as to avoid monsters in forest. The character will leave a wooden house and then enter the desert, winterland and forest one by one with train connecting each one of them, finally reach a skyland. The game is designed based on the concept: Knowing the importance of companionship, cherishing the thing that to be lost. FIND will be produced on the following platforms: PC Windows 8, Windows10, Apple IOS. This document is primarily concerned with the PC versions. The 64-bit Windows version requires at least 8MB of RAM. It uses 8-bit or 16-bit graphics, depending on the card fitted. Both PC versions of the game will be supplied on one CD-ROM. There will be no floppy versions. FIND will be developed using Blender, Unity3D and Visual Studio 2017. Only one player can participate in the game, he will control the man as the character. Players will be able to control the man to do actions such as walk, jump, run, climb, get on or off the train. At the same time, the player can decide which direction the charcter goes. The game will be controlled by keyboard. 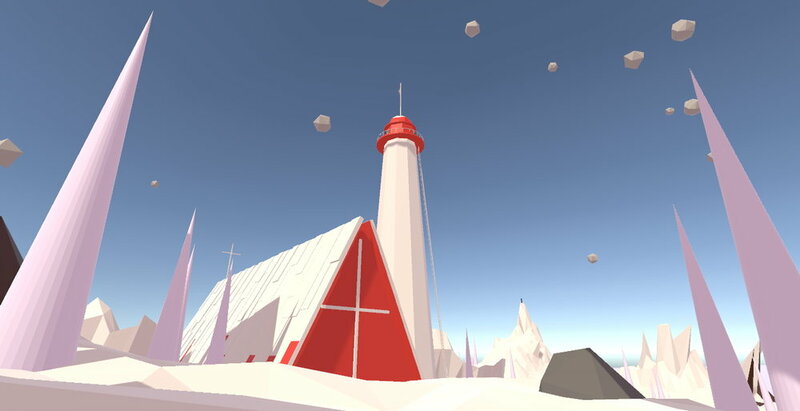 The game is featured with low-poly graphic style. 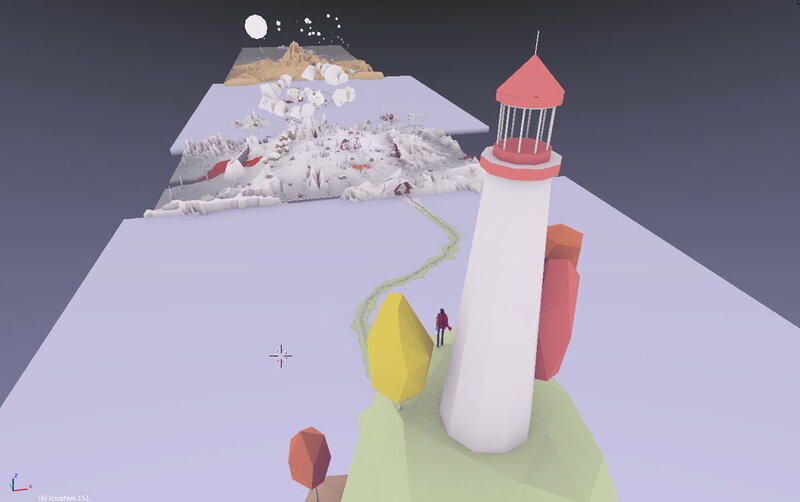 The player will keep having the first person viewpoint all the time and experience the landscape without understanding of the whole landscape. But at the end, the player will have the chance to climb up the hill to review all the scenes he went through from the beginning. Sound will be different according to different scenes and moods of the character. 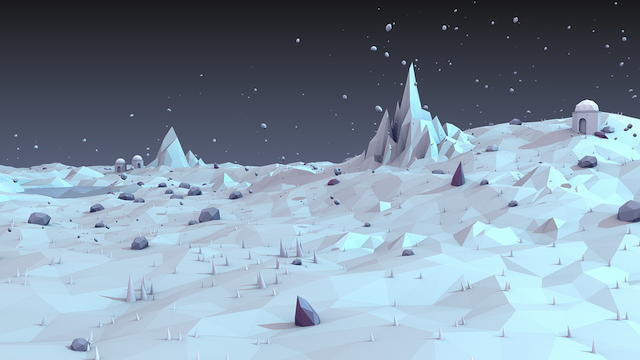 Besides, natural sounds will be added to the game including wave, snow, wind and alike. The playing world consists of three scenes: desertland, winterland and forestland. 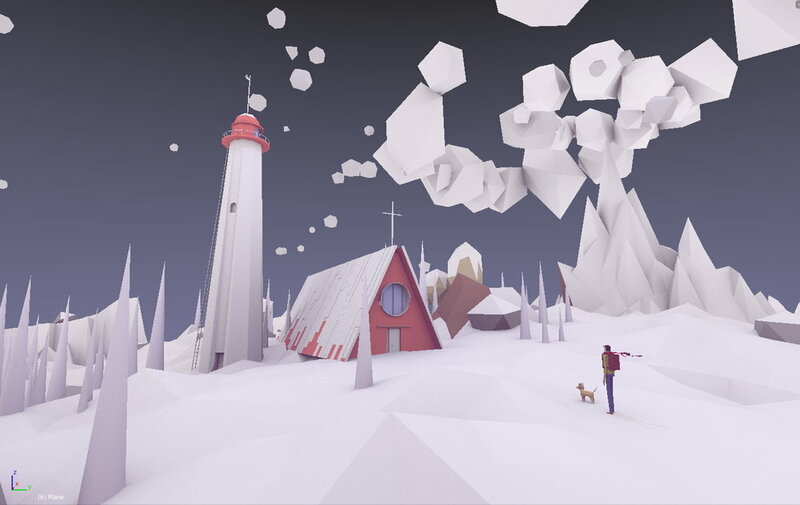 The man and his dog will travel through three scenes by taking the train and walking. There will be a number of clear landmarks to ease the navigation. The light in the game is the only cue for him to attain help to solve problems and get to the next round. The game is also intended to express the tininess of human being compared to the vastness of the world.